A store full of colourful kits, of every shape, size, and with tails long and short. We are talking about a hole-in-the-wall store in Bandra called Kite King Centre that is a supermarket for kites. Located right next to Lucky Biryani in Bandra, this little shop is owned by Qureshi Mohammad Salim. 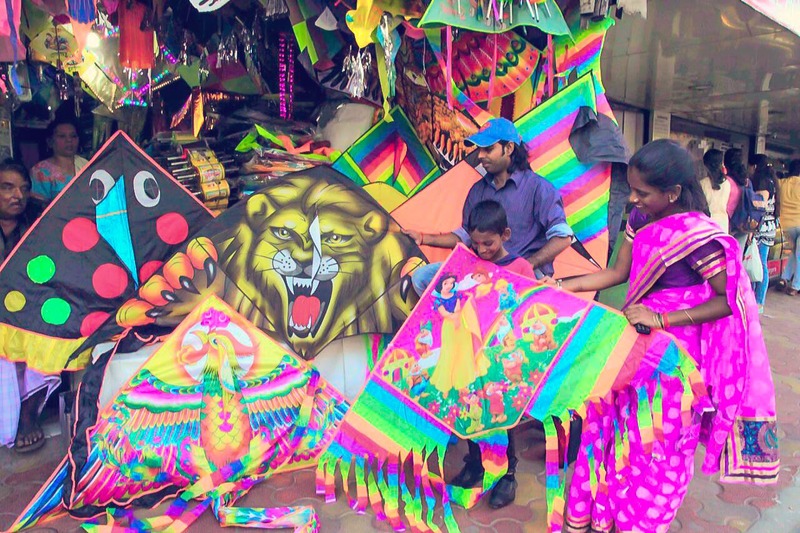 With Mumbaikars flocking by here around the year, kite flying festivals might surge the sale of this store, but the absence of legit reason doesn’t affect the footfall. His varied collection of kites is made of Chinese cloth, and paper designed with funny faces and interesting patterns. As you surf through the store, the shop owner will be more than glad to chat up and give you some pro tips to select the perfect kite that will soar high. Except you don’t need to apply those tips around here as each of his kites is crafted with perfection. The store also sells kite-flying accessories (manjha, the string and chakri, the wheel). While some of you might buy kites for a flying duel, buying these little pieces for some DIY home décor is not a bad option either. Easy to paste, kites add a beautiful colour to your otherwise usually dull walls. Why wait for a reason to fly some kites and get into some terrace-to-terrace scuffles? Aren’t pretty kites a reason enough? We’re using ours as a home decor piece. PS: While kite flying may sound fun, it can become a huge hassle for birds and animals around us. We request the readers to be mindful of that and seek safer options than Chinese manjha. Go for a more friendly option with cotton manjha?